The 6282 bracket kit is used to attach both the SRM-5A and SC932A to an enclosure backplate. 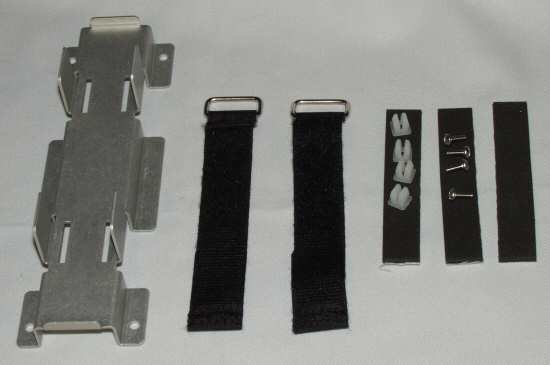 The devices are secured to the bracket with Velcro straps, and they are cushioned with adhesive padding. The bracket is secured to the enclosure backplate with grommets and screws.